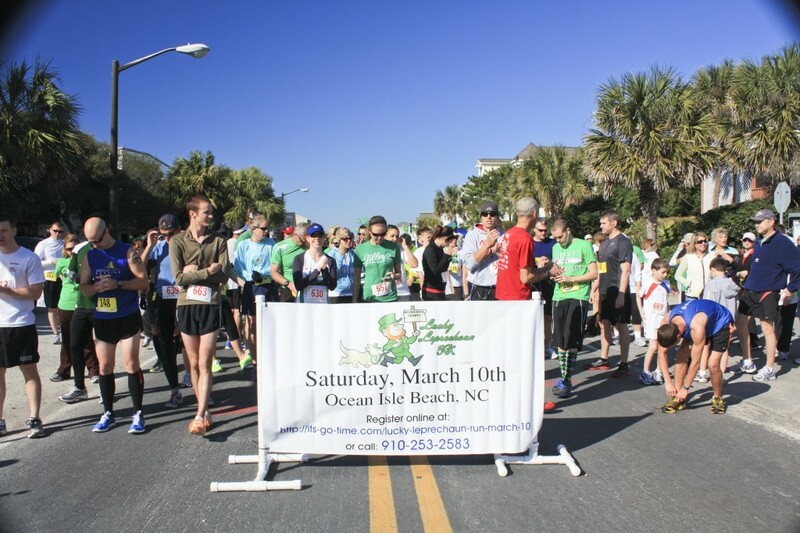 Lucky Leprechaun 5K – March 20, 2012 | NC Race Timing and Running Events | Go Time! Thanks to all of the sponsors and volunteers who helped to make this a successful event! Nearly 1/3 of all participants were competing in their first 5k race! In fact the top over 40 year old man and women participants in their first 5k walked (or rolled) away with new mountain-bikes! Overall champions, 55 year old David Smith (17:40) and super mom Sara McGeough (23:14), took down two night stays at the Winds Resort in Ocean Isle Beach. Thanks to all, and see you at next year’s Lucky Leprechaun! Enjoy the Beach. Get Disounts. The Winds Beach Resort is offering race participants discounts on hotel rooms for Friday, March 9 and Saturday, March 10. The Hotel is also throwing a Post-Race Party for participants staying at the property. Ask for details when you reserve your room. Get into the St. Patrick’s Day Spirit! Wear Green and Show Your Leprechaun Spirit. This course is Flat, Fast and Beautiful as it parallels the ocean along the eastside of the island. Proceeds will assist underserved Brunswick County Residents take part in fitness and health programs. Grand Prize: Overall Male & Female Finishers will win a Free Night’s Stay at the Winds Beach Resort.